Laughter is truly the best medicine, complete with the health benefits of relaxing the body, boosting the immune system, and triggering the release of endorphins that make you feel good. Nothing compares to the absolute joy of throwing back your head and laughing whole-heartedly with a room full of people sharing the same moment. 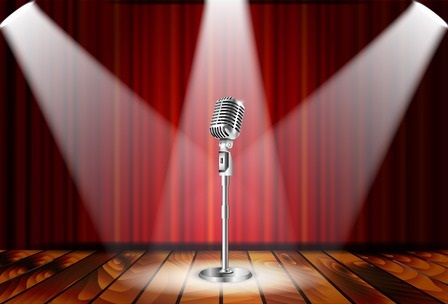 Stand-up comedy is an expressive art form that allows comedians to poke fun at everyday life, and Club 49 in Ruidoso in New Mexico is offering a series of laughs. Club 49 wants you to share in the laughs with their Laugh Out Loud Live Stand-Up series of professional comedians. Every Wednesday night, a professional comedian takes the stage at Club 49 to share their humorous stories and sidesplitting opinions with the crowd. Show up at 6:30 for this 7 p.m. performance and enjoy food specials and a full bar menu as you take in some expert comedy. Tickets cost $5 and patrons must be 21 or older to attend. Club 49 is located inside the Inn of the Mountain Gods Resort and Casino, New Mexico’s premier mountain resort. Before heading into Club 49 for a night of comedy, enjoy the day at the casino, which features games from Bingo to Blackjack and offers weekly poker tournaments and fun promotions. Enjoy a steakhouse burger at Wendell’s Steak and Seafood, have a Reuben at Smokey B’s, or get some breakfast tacos at the Broken Arrow Tap House. From the Club 49 comedy series to an array of festivals and other unique events, Ruidoso is full of fun and exciting happenings coming up this fall. If you are planning to attend these attractions, consider staying at Innsbrook Village Country Club & Resort for more than just spacious, luxurious condo and townhome rentals. We also offer a golf course, access to a private fishing lake, tennis courts, and more. What are you waiting for? Learn more here.